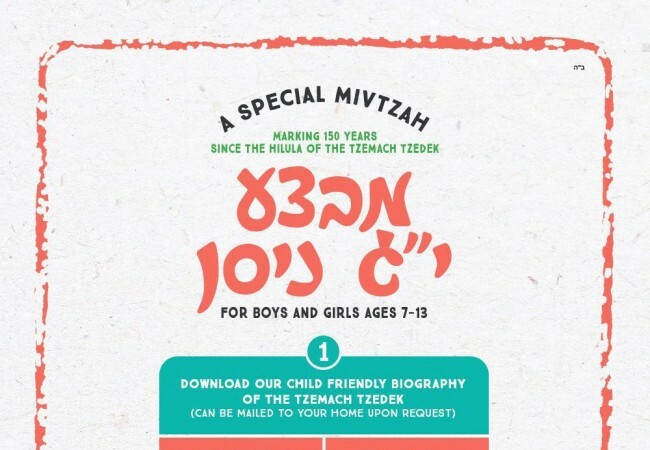 An exciting booklet detailing the tumultuous life of the Tzemach Tzedek, complete with illustrations, has been given out to chayolim in Tzivos Hashem bases worldwide along with a quiz and raffle component, and are divided by level for grades K-3rd and 4-6th. “We want to get kids excited about this important Yoma Dipagra,” says Rabbi Mendy Shanowitz of MyShliach, who sent close to 500 copies of the booklets out to Yaldei Hashluchim. Plus, an all-new audio version of this same booklet created by master storyteller Rabbi Sholem Perl will enchant kids, keeping them on the edge of their seats as they hear about the Tzemach Tzedek’s life. What could be a better way than to celebrate 150 years since the Tzemach Tzedek’s Yom Hilula? Click here to download the booklet. Visit mystoryteller.club to download the audio file, plus browse a collection of favorite Chassidishe stories.